It is that frenzied rate of deforestation that has propelled Indonesia, home to 237 million people, into its top-three spot in the global league table of climate change villains. 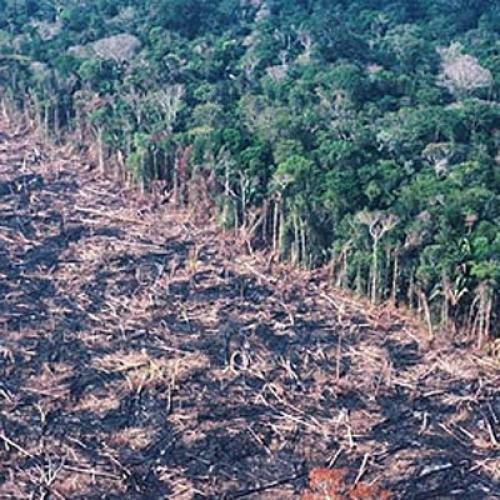 According to a government report released last month, the destruction of forests and carbon-rich peatlands accounts for 80 per cent of the 2.3 billion tons of carbon dioxide emitted in the country annually. "Halting forest cover loss" means you can cut down the forests but replace them with other trees, so that "forest cover", the general area covered in trees, remains the same. These other trees are likely to be commercial monocultures such as eucalyptus or oil palms, not remotely as valuable ecologically, or as a store of carbon, as virgin forest, and although it might be better to have those trees growing than bare ground, many environmentalists would stress that not cutting the virgin forest down in the first place is the best option of all.